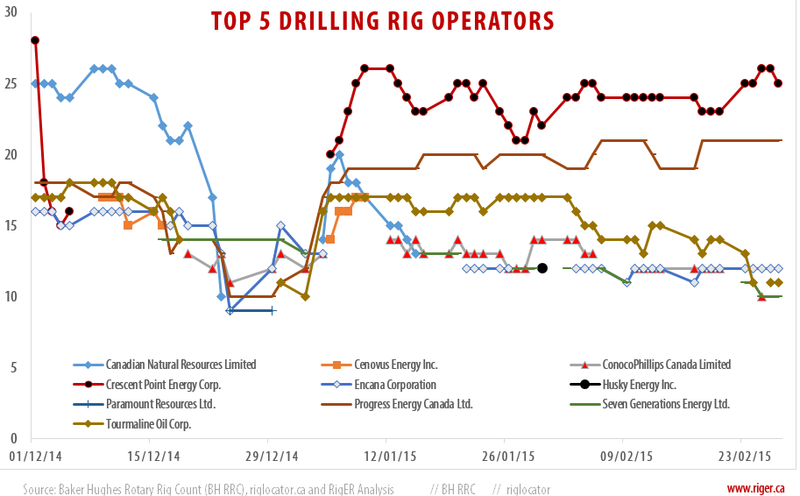 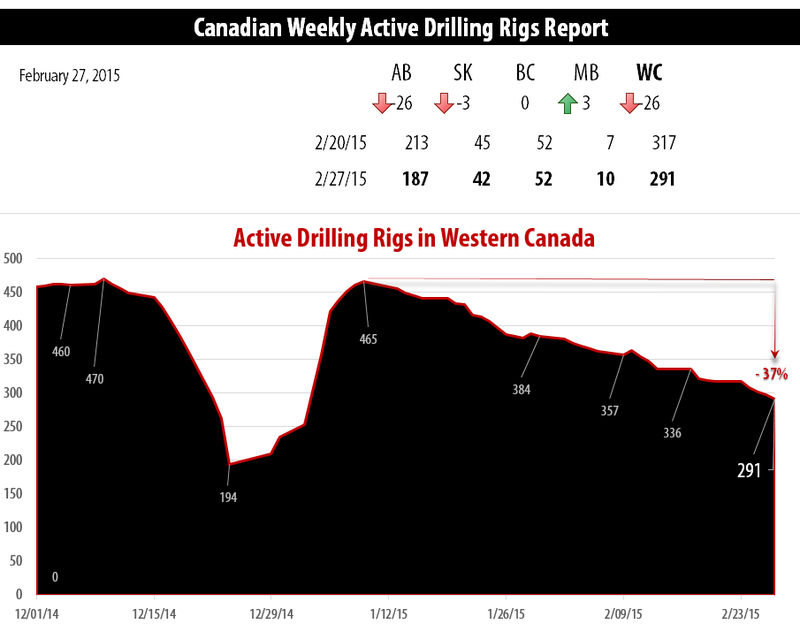 CALGARY, Alberta (February 27, 2015) – RigER presents weekly Drilling Rigs Activity Report. 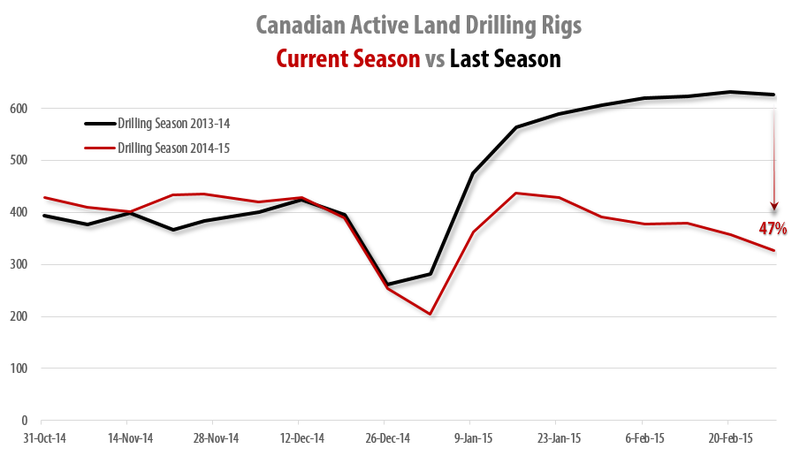 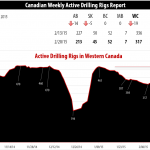 Today riglocator.ca reports 291 active drilling rigs in Western Canada (37% declining since Jan 9, 2015 – 465). 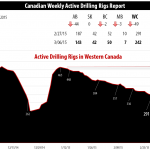 Baker Hughes reports 47% declining of Canadian Drilling Activity.